In an idealized ’50’s setting, the classic themes of love won, lost and imagined blend with hilarious set-pieces and slice-of-life emotions. Featuring nearly 40 of the greatest songs ever recorded, Smokey Joe’s Cafe isn’t just great pop music – it’s compelling musical theatre. Follow Charlie Brown, Snoopy, Lucy, and all your favorite Peanuts characters in this contemporary musical theatre adaptation of the beloved Charles Schulz comic strip. 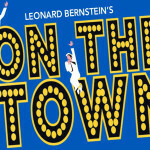 On the Town is the tale of three sailors on a 24 hour leave from their ship docked in this fabulous city. 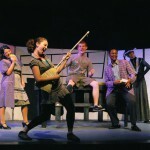 Memorable musical numbers include Come Up to My Place, Lucky to Be Me, Some Other Time and New York, New York. It’s an uplifting, fun show with energy and verve!